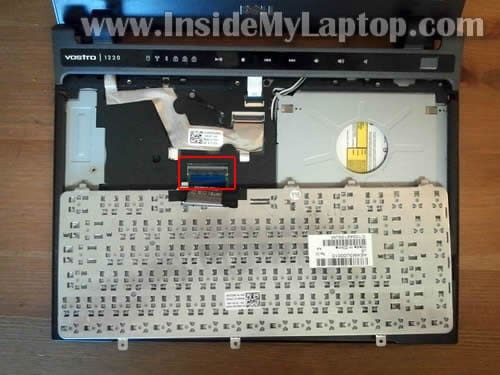 In this post I explain how to take apart a Dell Vostro 1220 laptop. I’m taking it apart in order to remove and replace the failed hard drive which is mounted deep inside the case. 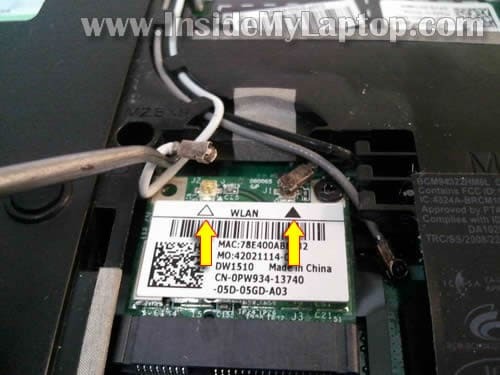 I will also show how to access and remove other main Dell Vostro 1220 internal components such as memory modules, keyboard, DVD drive, wireless card and CMOS battery. 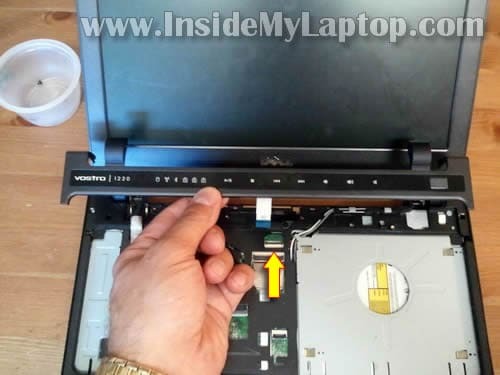 Before you start laptop disassembly, make sure it’s turned off and battery removed. 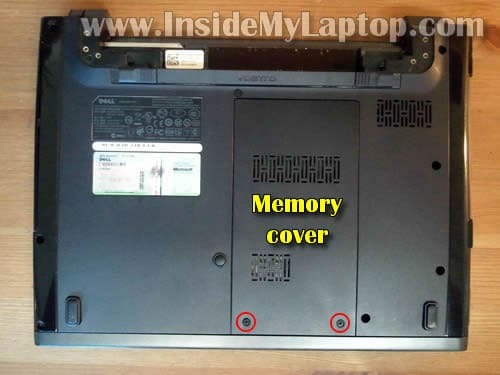 Remove two screws securing the memory cover. Remove the cover. 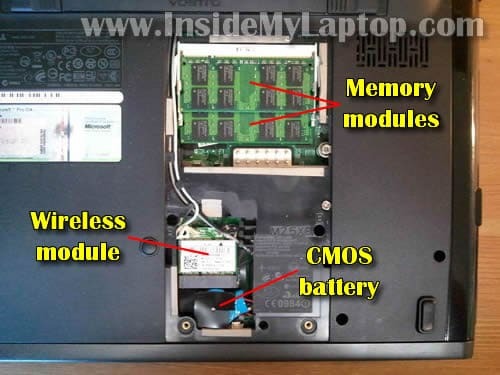 Under the cover you’ll get access to both memory modules, wireless module and CMOS battery. Using a sharp object lift up the right side of the center control cover. Be careful, the control button board cable still connected to the motherboard. Don’t be scared if you accidentally pulled the cable from the connector. 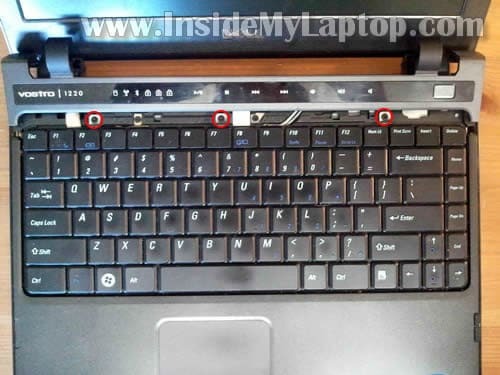 You can reconnect it later when the keyboard is removed. Move the center control cover toward the display so you can access keyboard screws. Lift up the keyboard and turn it over on the palm rest. 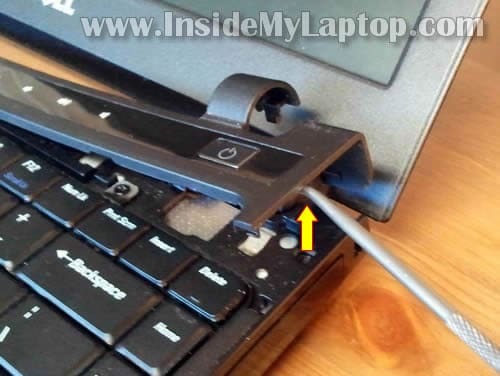 Before removing the keyboard, you’ll have to unlock the connector and release the cable. Carefully lift up the left side of the locking tab so it opens up at a 90 degree angle. Disconnect the center control board cable. Unroute wireless card antenna cables. 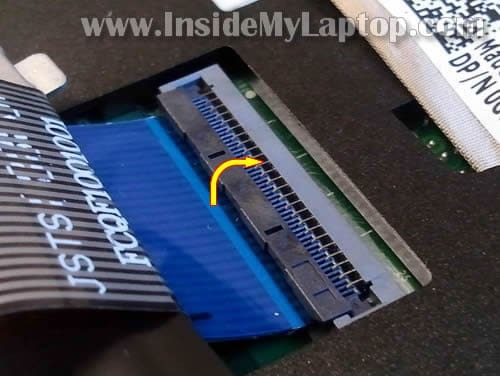 Disconnect video cable from the motherboard. The video cable has ground cable which is secured by one screws. Pull wireless card antenna cables though the opening in the top cover. Disconnect touch pad cable from the motherboard. Carefully separate the top cover assembly from the bottom case. The hard drive located in the lower right corner. 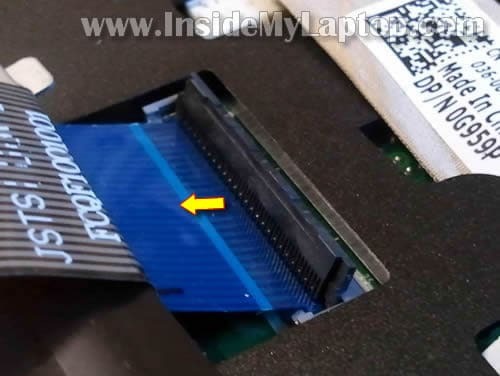 Disconnect one side of the USB board cable and move the cable away from the hard drive. Slide hard drive assembly to the right to disconnect it from the motherboard. 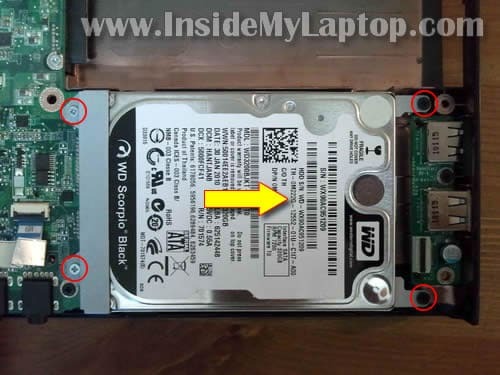 Remove two screws on each side of the hard drive. Separate the mounting bracket and transfer it to the new drive drive. 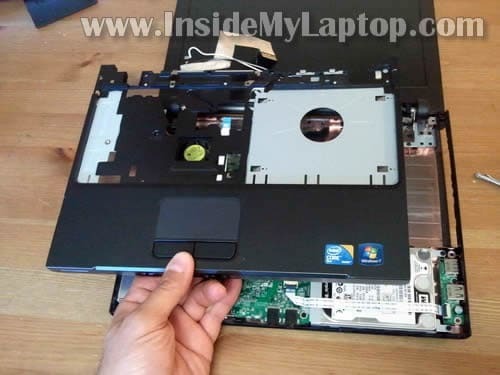 In my Dell Vostro 1220 laptop I had a regular 2.5″ SATA HDD installed. You can replace it with another 2.5″ SATA HDD or upgrade to a 2.5″ Solid State Drive (SSD). Solid State Drives are more expensive but significantly faster and quiet. hello,wa kind laptap is good or better than others in ur experience? I’m not the biggest fan of dell computers or laptops. However I must say, they do look quite simple to pull apart. 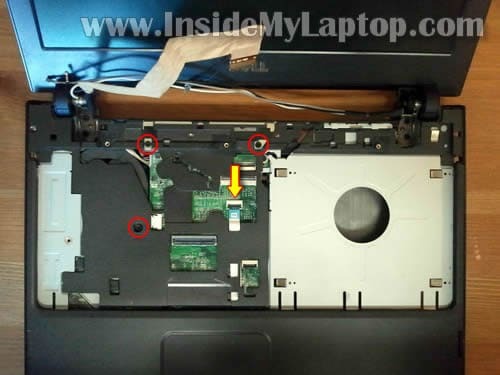 Thanx for a great guide of dismantling this laptop ! You are a star my friend ! DEll is far better in mater of services but after warranty even an simple problem becomes so big. 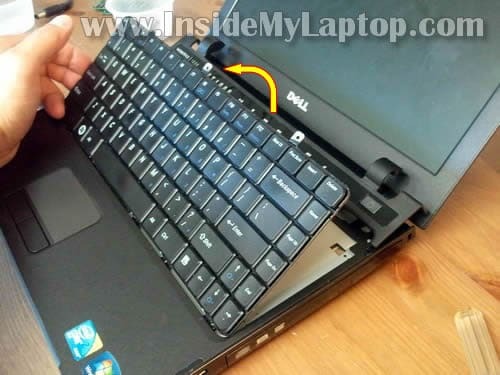 Your post has given an full support and visuals to know my Dell laptop . now why in the world did they put the hard drive all the way under all that stuffs? 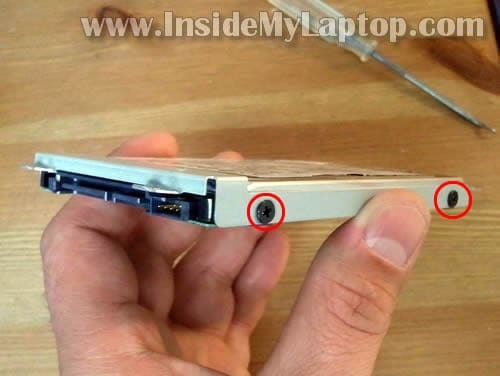 on most laptops, actually on most dell laptops, you can just open a cover on the bottom of the laptop and the hard drive is right there. this has got to be one of the hardest hard drive replacement jobs i’ll ever have to do for a laptop. but thank you for your illustration! i think i can give it a try! The steps that you provided were excellent, thankyou. There is a grey cable in step 13 though, it’s with the antenna cables, which doesn’t seem to connect to anything, is that correct? wa kind laptap is good or better than others in ur experience? I would say Lenovo ThinkPad is a good one. Better than any other laptop on the market. now why in the world did they put the hard drive all the way under all that stuffs? I’ve been asking myself exactly the same question over and over. It’s very inconvenient for data backup. There is a grey cable in step 13 though, it’s with the antenna cables, which doesn’t seem to connect to anything, is that correct? 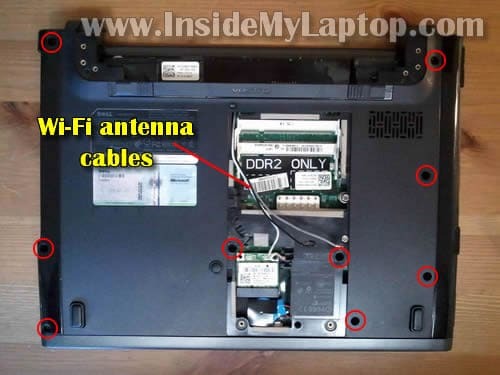 I believe some newer wireless cards require three antenna cables. 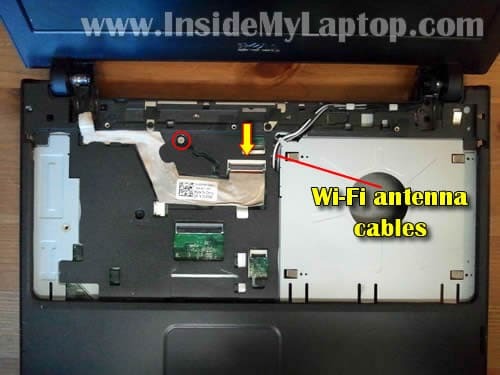 Probably your wireless card needs just two antenna cables. Leave the gray one unconnected. 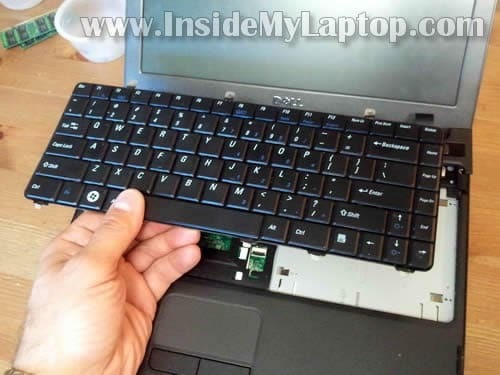 Super it really helps me to remove keyboard.. Thanks for uploading this guidelines. 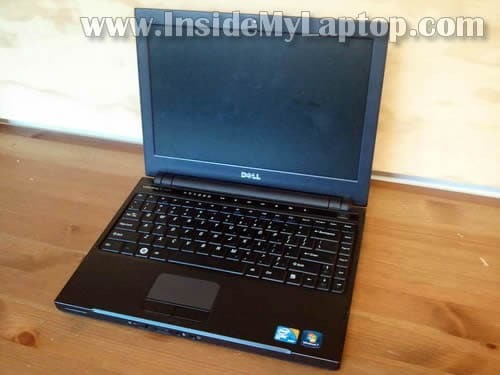 In my Dell Vostro 1000 I want to upgrade the processor. Can you help me with what is the highest I can go as far as processor. If you can post some pictures of how to change the processor. I was trying to get to the fan to clean it. I followed your photos and comments. I got stuck trying to remove the palm rest though. I was able to lift and unclip the back and sides but the front didn’t want to come away. Rather than force and break it, I removed dust I could see in the fan and reassembled the laptop. More info on the clips or securing method at the front would be really useful. Thanks for a great step through. Many thanks. 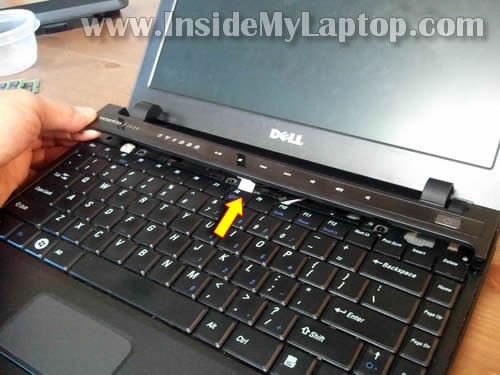 I spent several hours w/Dell and their instructions. They never mentioned the disconnect the wires and how can you get the palm rest off if you don’t. They are twits. 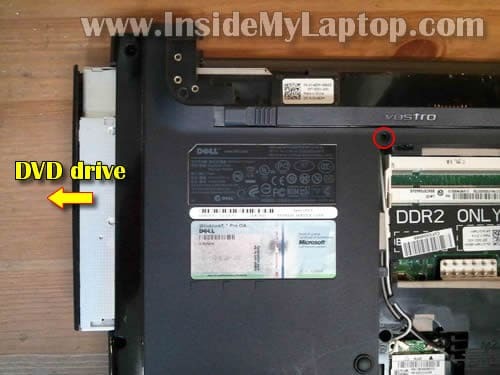 Great instructions, it helped me a lot changing the harddrive. Many tnx. Yes the grey cable does not connect. i’ve put this back together but the wireless isn’t working but the device is fine in device manager, but the gray lead at the wireless module end isn’t connected to anything and i can’t remember if it was before and also can’t work out where it’s connected in these photos! it gets out of the box via ethernet np, so i’m really suspicious it’s this loose gray lead.